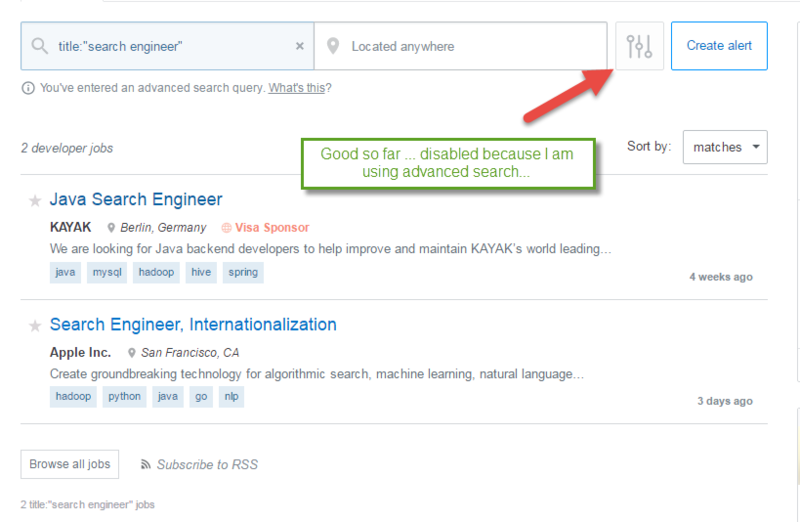 I posted this: https://meta.stackoverflow.com/questions/340984/going-from-advanced-job-search-to-regular-filter-search-doesnt-display-filter (although I deleted this original question because it was not clear). But I don't think I am being clear on what the issue is. I could try to edit that question but it would be rewriting the question. I'm not sure the team is getting what I am trying to say. 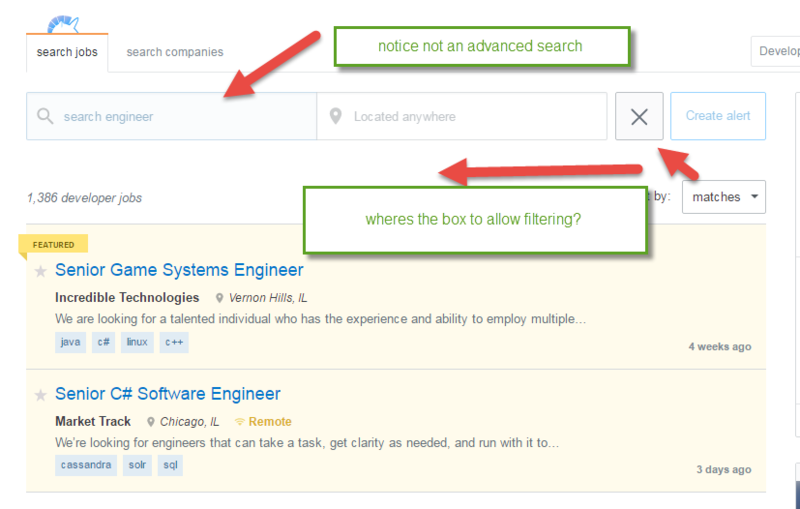 Now click the hyperlink that looks like a double arrow and says << search results this will take you back to your prior search results. Thank you for your detailed bug report. The additional information helped me find and reproduce the bug. I'm sorry I was not previously able to do so. The issue is now fixed in production.